Although the Great War might be regarded as the heyday of the big-gun at sea, it also saw the maturing of underwater weapons, the mine and torpedo, as well as the first signs of the future potency of air power. Between 1914 and 1918 weapons development was both rapid and complex. 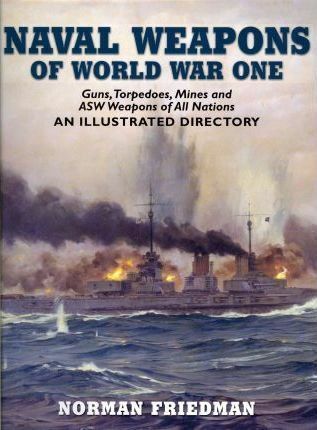 This heavily illustrated work details all the guns, torpedoes, mines, aerial bombs and an anti-submarine systems employed during that period and offers an in-depth explanation of the background to their evolution. The book treats the war as a transition from naval weapons which were essentially experimental at its outbreak to a state where they pointed directly to what would be used in World War II. Based largely on original research, this sophisticated book is more than a catalogue of the weapons, offering insight into some of the most important technical and operational factors influencing the war at sea.